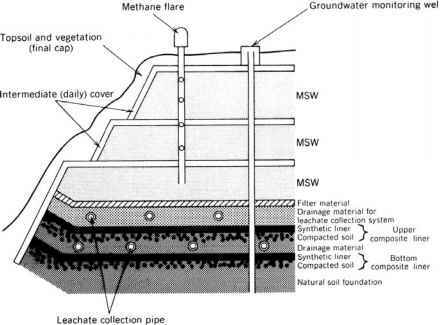 In addition to its own expertise, the committee relied on input from numerous external professionals and members of the public with extensive experience in various aspects of coalbed methane development and produced water management. All of these individuals provided presentations, data, analyses, and illustrative figures and images which assisted the committee in understanding the scope of the issue and the roles played by federal, state, and tribal governments and agencies, the private sector, non-governmental organizations, research organizations, and the public. This information was very important to the committee in formulating the report. We gratefully acknowledge these individuals, and note particularly their prompt and thorough responses to our inquiries throughout the study's course. In particular, the committee would like to thank the following individuals: Troy Bauder, Doug Beagle, Diedre Boysen, John Boysen, Curtis Brown, David Brown, James Burd, A'lda Farag, Mark Fesmire, Don Fischer, Carol Frost, Carey Johnston, James Keener, David Mankiewicz, Vince Matthews, Elizabeth Meredith, Terrance Olson, Kevin Rein, Ashley Roberts, Kathy Shreve, Timothy Spisak, Carrie Steinhorst, David Stewart, Jason Thomas, Ralf Topper, John Veil, John Wheaton, and Michael Wireman. John Veil, Argonne National Laboratory, Washington, D.C. Although the reviewers listed above provided many constructive comments and suggestions, they were not asked to endorse the conclusions or recommendations nor did they see the final draft of the report before its release. The review of this report was overseen by William S. Condit, Independent Consultant, Santa Fe, New Mexico and Michael C. Kavanaugh, Malcom Pirnie, Inc. Emeryville, California. Appointed by the NRC, they were responsible for making certain that an independent examination of this report was carried out in accordance with institutional procedures and that all review comments were carefully considered. Responsibility for the final content of this report rests entirely with the authoring committee and the institution.